OPENING in September at London’s Lawrence Alkin Gallery is CREATION, a new solo show by artist Jessica Albarn. CREATION is a visual record and documentary of the development of a living meadow in Devon, which Albarn describes as “the perfect antidote to life in London”. The meadow is home to many insects and animals, which are the focus of Albarn’s visual studies. 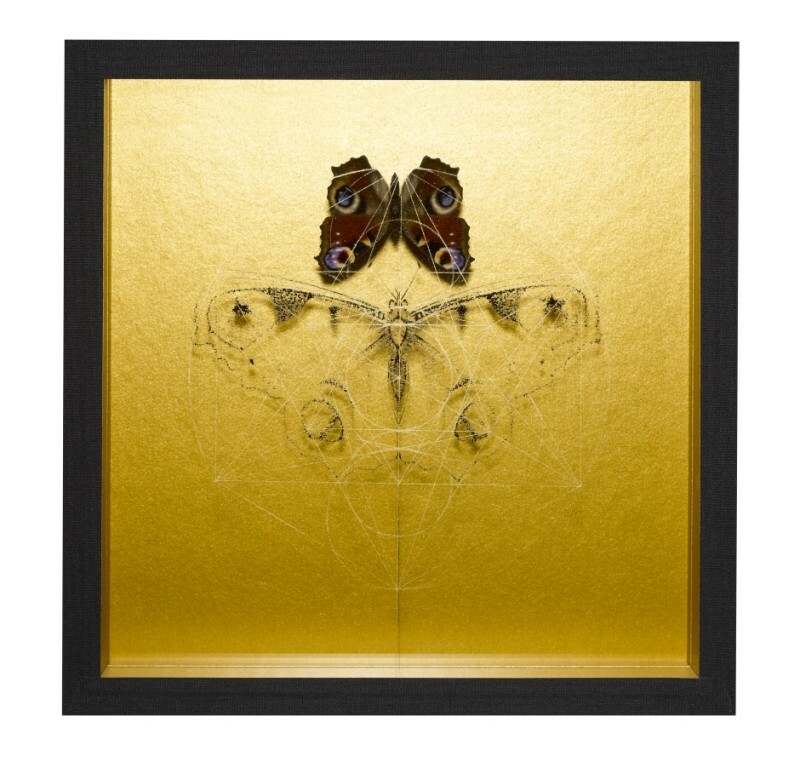 Focusing on ecology and the renewal of life, CREATION features a range of mixed and multi media. From large paintings on canvas to fine pencil drawings that Albarn is known for, the show will also feature a stop animation film and a piece using electric ink which brings its own unique aural element. Musician and composer Nick Powell, who has worked extensively in theatre on productions in the West End and on Broadway, sensitively created the soundtrack to the film with his band Oskar. Bees, spiders, butterflies, mice and birds such as the common Wren feature in CREATION. The artist’s delicate pencil work highlights the fragility of these tiny creatures, while through multimedia such as the electric ink piece, which transforms movement into sound, their energy in life is realised on a number of different levels. The electric ink piece began as Albarn experimented with different ways of recording life within the meadow. Discussing ideas with friend Rob Lawrence, who works for audio specialist Bowers and Wilkins, Albarn discovered a new way of communicating sound visually. The artist incorporated a layer of electric ink within an archive sound box through which sounds of a bee, a grasshopper and a wren can be heard. Visitors to the show will be able to listen to the sound of the insects through a set of headphones, which are activated by movement. Stemming from Albarn’s appreciation of a species so crucial to the survival of the human race, the meadow is a conservation art project designed to encourage two rare types of bee, the Blaeberry bumblebee and the Shrill Carder bee. The Bumble Bee Conservation Trust advised on the meadow set up and the types of flowers and grasses that should be planted. Sister to blur frontman Damon, Albarn lives in Newington Green in London and has three children aged 21, 18 and five years old. Albarn’s love of nature has been there since childhood. She comes from a farming family and although born in London, grew up in the Essex countryside until moving back to the city later in life. Both her parents are also artists.